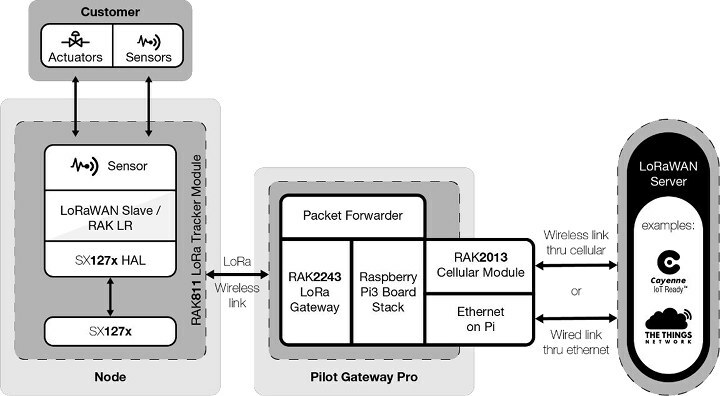 RAK Wireless already has a decent offering of LoRa gateways and modules, but the company has been working on two new LoRa gateways, one Enterprise grade model – RAK7249 gateway – based on fully custom hardware, and the other – Pilot Gateway Pro RAK7243 – features a Raspberry Pi 3B+ board with Cellular & GPS connectivity on top of a LoRa radio. 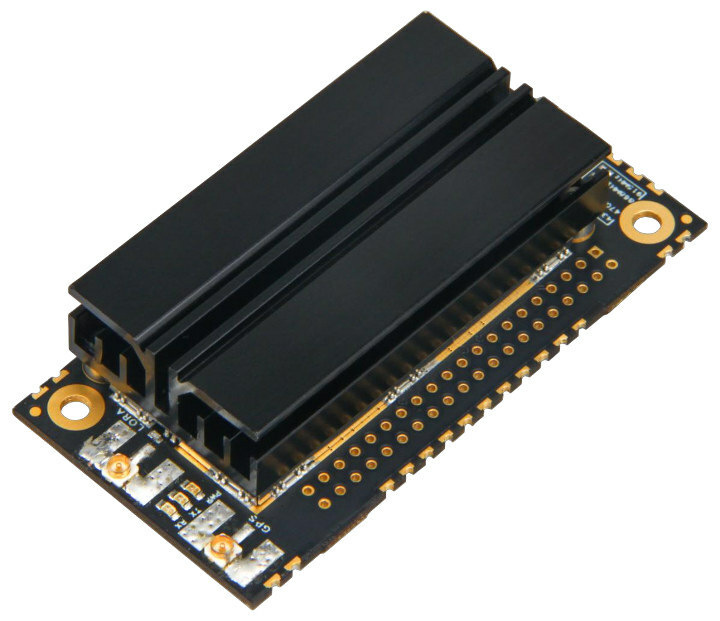 RAK Wireless will also introduce three RAK2245/RAK2248 LoRa concentrator modules that can easily be used with boards following Raspberry Pi, or 96Boards IoT edition form factors. 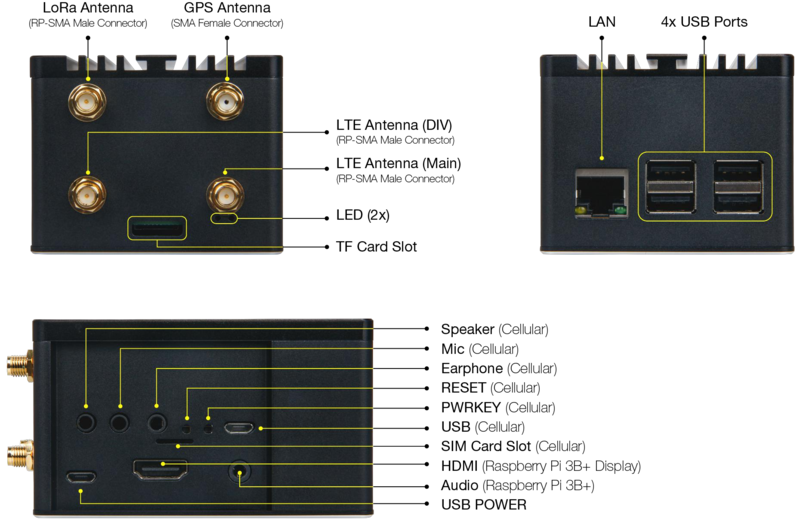 Standard version with 8 channel Gateway and also support Max.16 channel Gateway. 4G Cellular – Quectel EG95 for CAT4 cellular network. port, and 1 reserve port. Dimensions – 220mm x 220mm x 104mm (2mm wall thickness). 5,000mAh/12V Lithium battery good for now than 5 hours under typical operation. The gateway ships with a mounting kit, an Ethernet cable, a PoE injector, and four antennas for WiFi, GPS, LoRa, and 4G LTE. 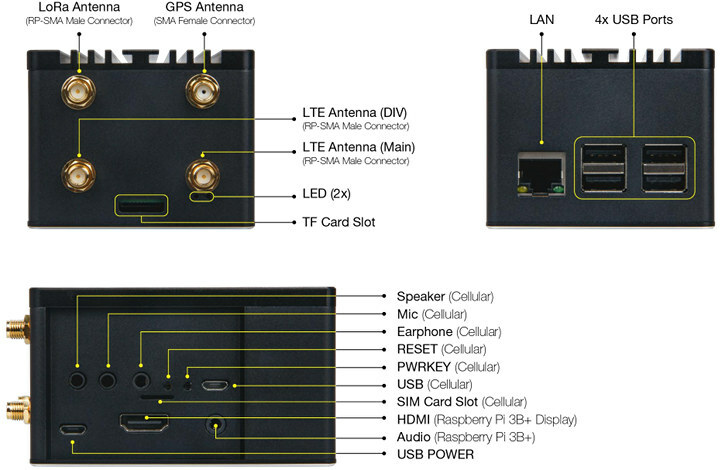 With the various options, we end up with 8 different models of gateways, and you can multiply this by three since 433 MHz, 868 MHz, and 915 MHz versions will be provided. Speaker, RESET, PWRKWY button, USB port(Cellular). Despite the wide temperature range available, Pilot Gateway Pro RAK7243 is not designed for outdoor use since the enclosure is not dust or waterproof. 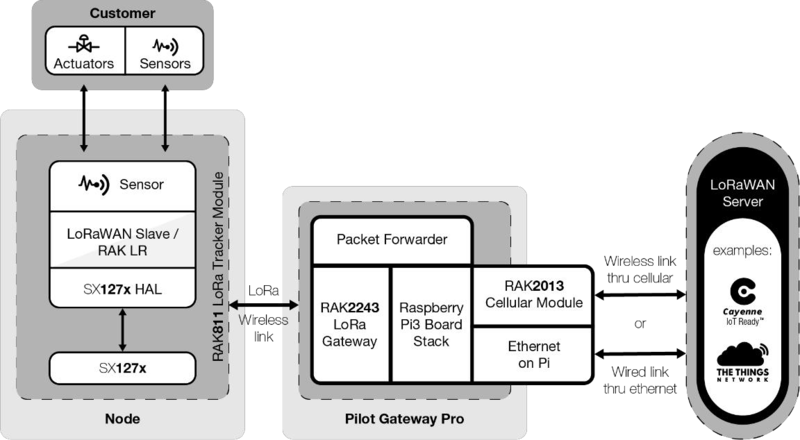 That means it’s likely designed for testing and evaluation like their earlier RAK831 Lite Raspberry Pi 3 LoRa gateway, and for actual deployment in the field, the above RAK7249 DIY Enterprise LoRa Gateway should be selected instead. 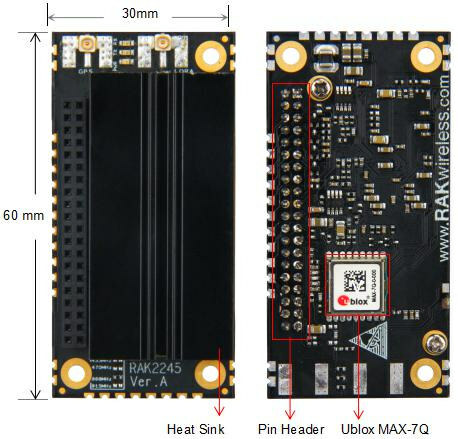 The RAK2245 LoRa concentrator module connected to the aforementioned gateway is called RAK2245 Pi Hat and specifically designed Raspberry Pi 3 board, but there are also two other variants: a RAK2245 Stamp Hole Edition pictured below, and RAK2248 that offers the same features for but 96boards IoT edition single board computers instead. 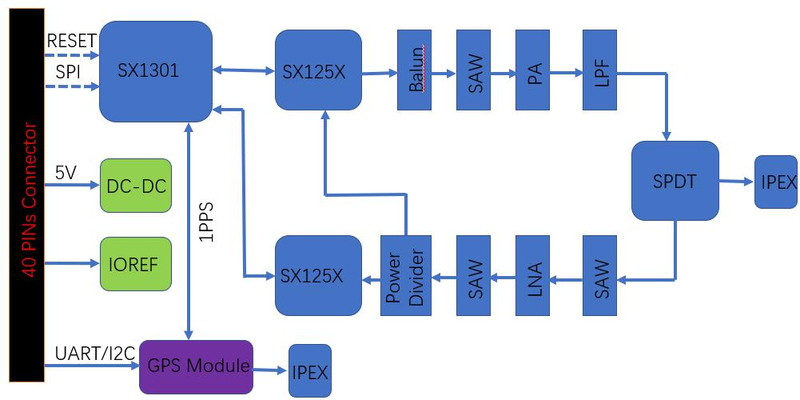 RAK2245 and RAK2248 modules can both be integrated into indoor and outdoors products, and they all have the same features, with the main difference being the form factor. 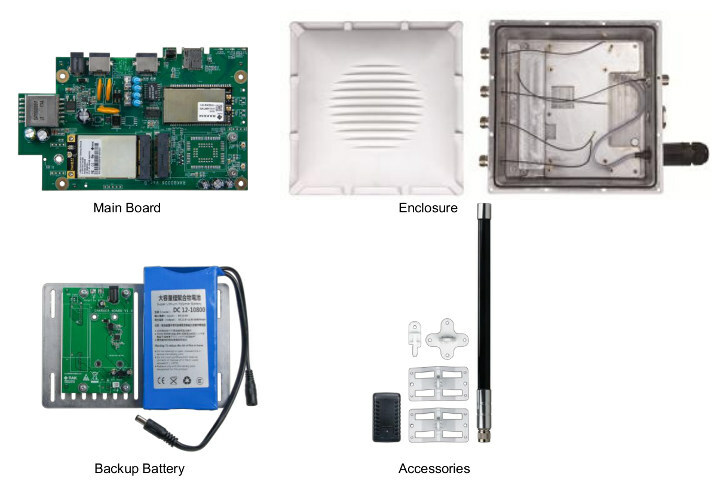 The company has provided user manuals for the gateways and LoRa concentrator modules, but they have yet to set up product pages, and availability and pricing are currently unknown for this pre-announcement. RAK Wireless will demonstrate the solutions at the TTN conference on January 31 – February 1, 2019. The heat sink for the SX1301 looks good. Heat causing the SX1301 to stop responding and semtechs packet forwarder being too stupid to notice that it’s not running any more is a common issue for me. I hope the chips inside the rf cans are actually coupled with the cans so the heat can get out. Looks like it’s still missing the extra bits required to do LTB that is required for many of the bands they list as supported.